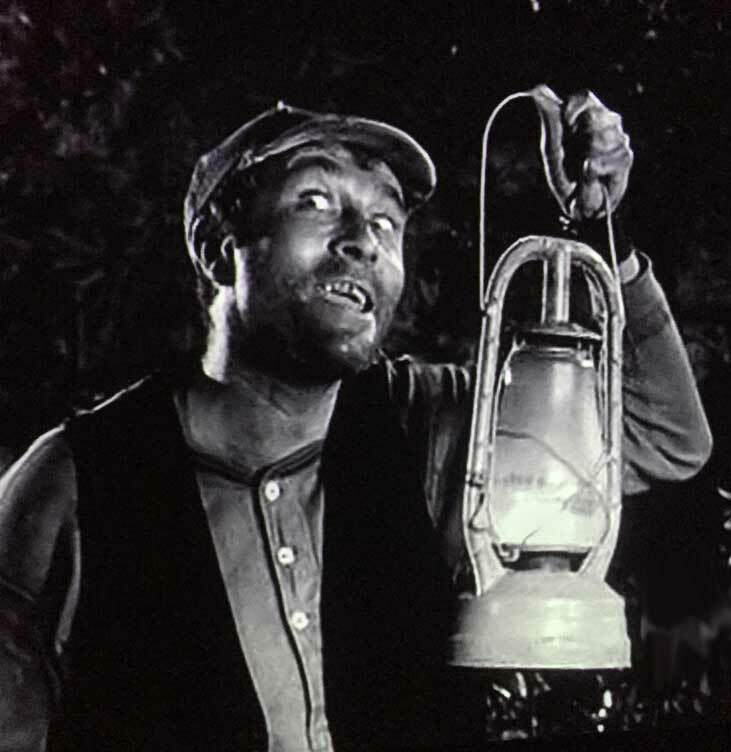 Wanna know how Ernest T. Bass came to be? 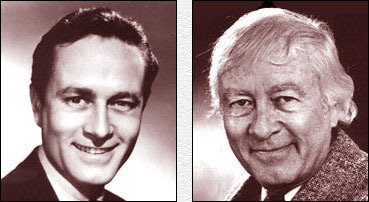 In 1963, I got a call from Aaron Ruben, one of the original writers from Sid Caesar’s “Your Show of Shows.” Aaron was now a producer of the Andy Griffith Show. He told me about a script they had been working on that included a new character. Turned out they were having some difficulty with development. Aaron continued to describe the character, and eventually popped the question if I was interested in pursuing it as an actor, and if I could find a way to relate to the character in the script, much in the way as your fans have done. Well, for obvious reasons I was intrigued, but had many questions. 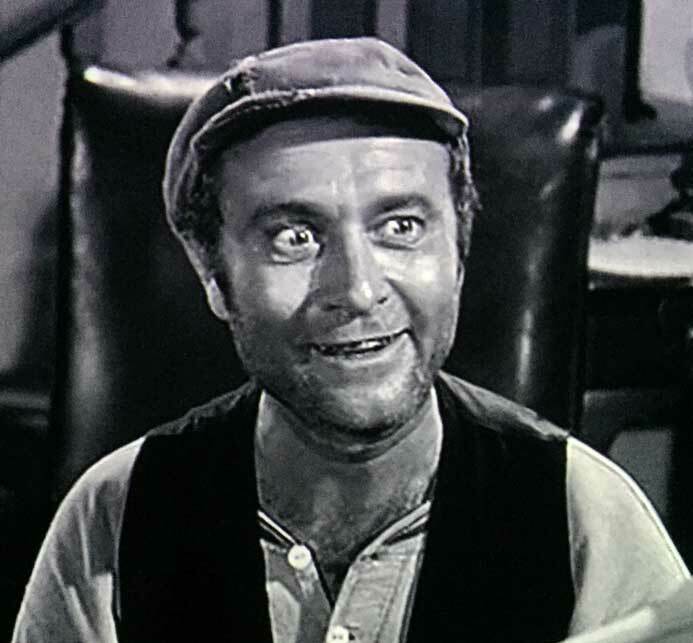 For example, who (and what) the heck is an “Ernest T. Bass?” How does my gut respond in relating to this relatively undeveloped character? Lets take a few steps back and look at my roots. I was born and raised in the Bronx, New York City. No dirt, no cows, no roosters, and no immediate knowledge of the deep south as epitomized by the Andy Griffith show. 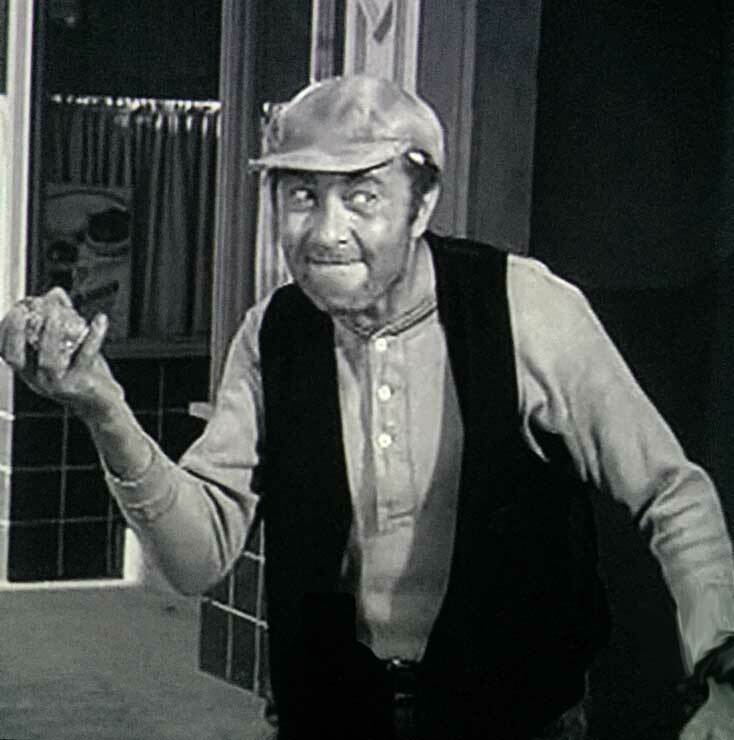 How do I get to relate to and play Ernest T. Bass, a character which has just arrived from left field? 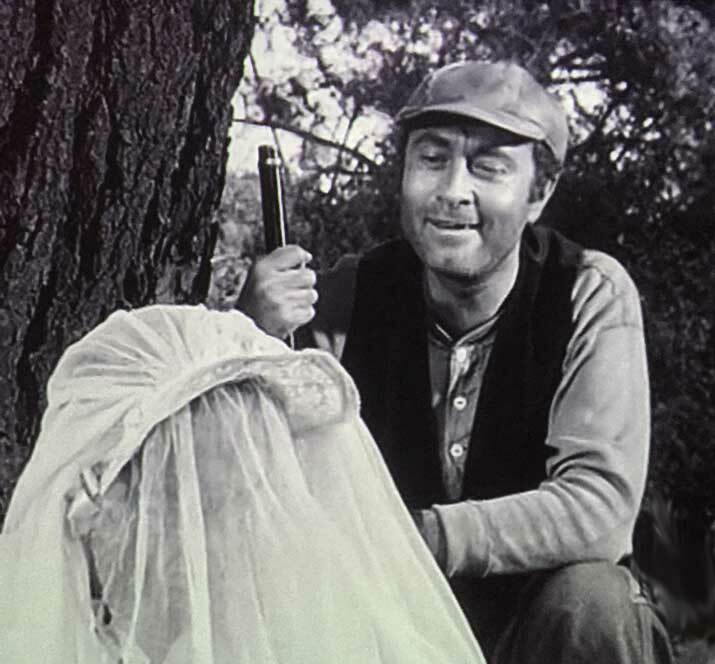 While reading this new Andy Griffith Show script entitled “Mountain Wedding”, I had to discover what exists with Ernest T. that I can relate to as a performer in order to make you, as audience, respond. I began digging over a period of about ten days. I read the part several times to try and figure out ways to communicate Ernest, and integrate him into my performing abilities, again, for you. Many questions needed to be answered. 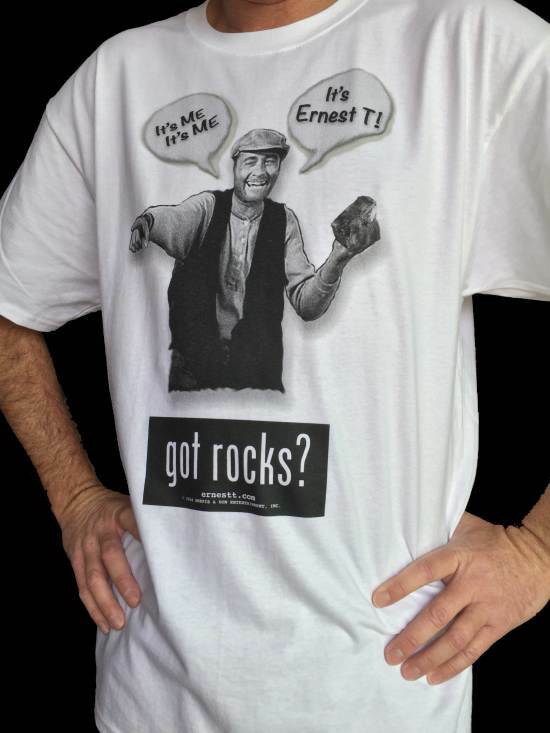 First of all, who is Ernest T. Bass? How do I figure this out? 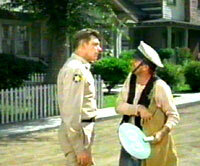 How will Ernest relate to the Andy Griffith Show, and with the other characters? How will Ernest relate to the audience? How should he speak? 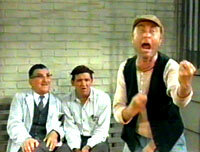 In time, I figured out ways to make him communicate in his own Ernest T. Bass style, whatever that was. But, it was all purely experimental. I had no idea what would, or would not work, but it was almost time to put my interpretation on its feet in front of the cameras, producers, cast, and crew. The morning arrived for the first day of shooting on “Mountain Wedding.” We were placed in position with a few directions. The cameras rolled, the clap board clapped, and for the first time “action” was called for Ernest to come alive. 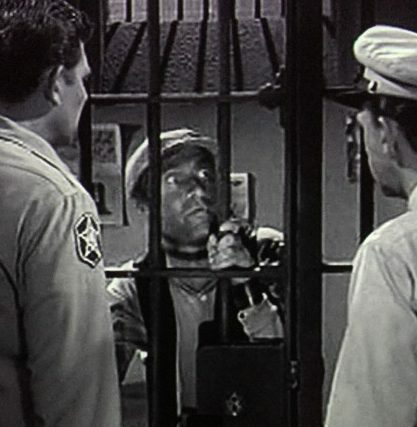 The first scene that was ever shot with Ernest T was the scene in the woods with Andy and Don. I slowly ran up that hill, duckin’ in and out of trees, Ernest had finally arrived. 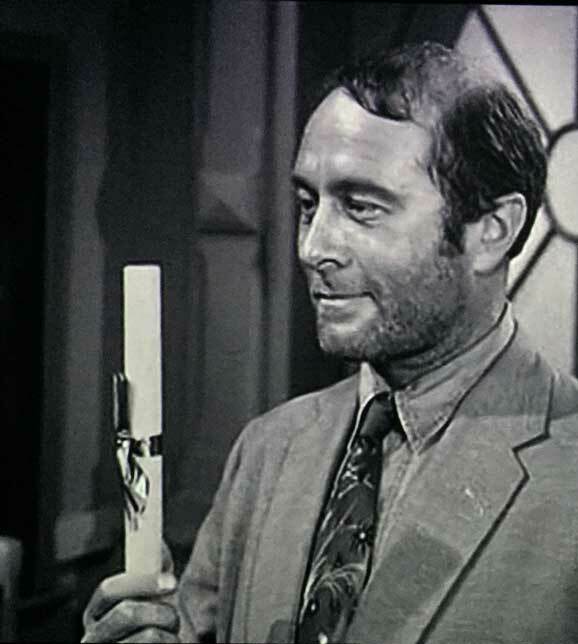 This was the birth of Ernest T. Bass! Apparently, after five trys, and just five episodes, I guess I figured it out. 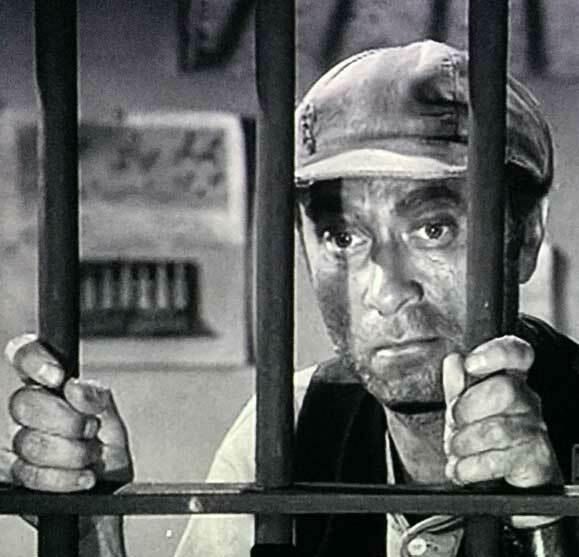 When I became Ernest T. on the show, my insides would warm with joy, but at the same time, I anticipated new problems, and boy they kept comin’ up. For example, I’m not a large and powerful man. Each script was an extreme challenge that involved just the right balance. 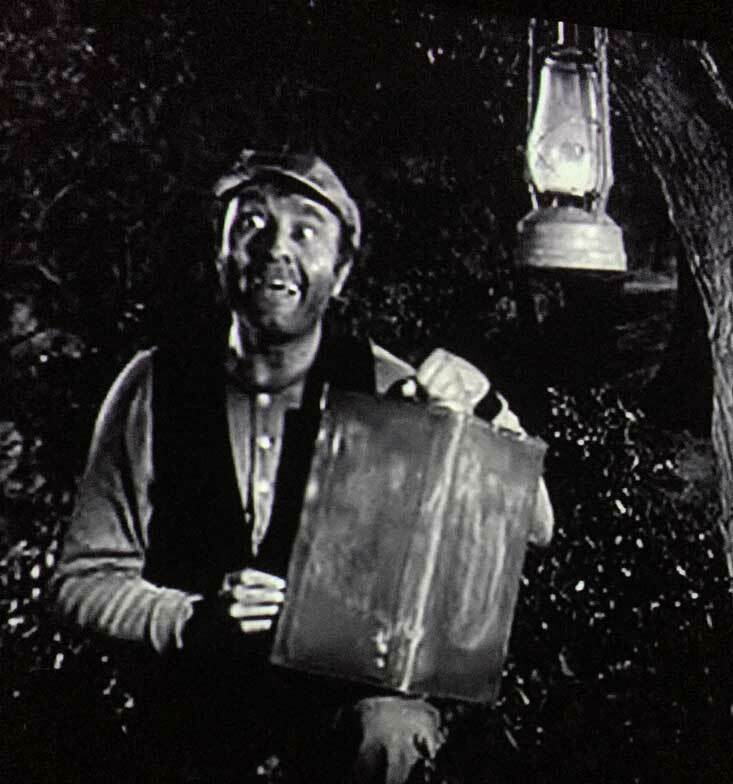 Sometimes it was difficult to find the level of presentation and energy for Ernest T.
None of the scripts called for Ernest to jump around like a nut. That was just the result of my innards searching for ways that the character needed to move. I also used poetry to fill in other character gaps which results from an actor’s basic insecurity in terms of the character having a unique depth of personality. I discovered even more personality elements using poetry. This occurred by pure accident. Each silly line came to me on set as the cameras rolled. Howard Morris at the TV Land Awards March 7, 2004 honoring The Andy Griffith Show with a Legend Award. So this is how Ernest T began. Of course, the character is a result of the wonderful writers, producers, and directors who set the stage making it possible for me to do my thing. Ernest T is a tribute to all involved. All in all, being allowed to work the way I did filled me with joy. It was good in my gut, good in my throat, and good in my head. I thank you for indulging me!